Maximum group size is 15 people. However, a booking can be made for up to 150 people (with multiple guides). For bookings larger than 70 people, please contact us. We cover about 10 km (6 mi) at a reasonable, pleasant pace. 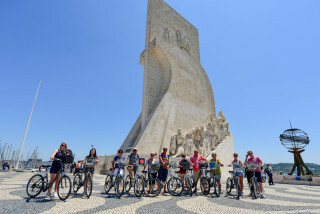 You do not have to be a skilled cyclist to join this tour. This tour runs in English, Dutch, German, and French. Please let us know if you prefer a language other than English. Please note that most museums in Portugal are closed on Mondays. 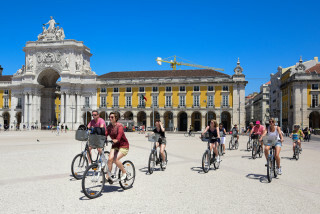 Portugal's ancient capital is Western Europe's oldest city, and memories of the past are beautifully sprinkled throughout its streets. 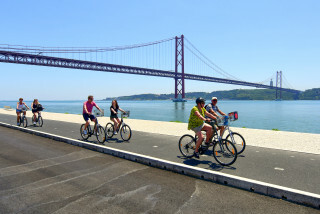 Our bike tour leads you down cycle paths and cobblestone pavements that promise a charming reward at every turn. 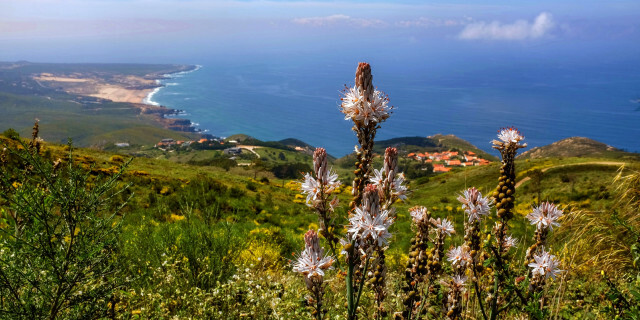 This 10 km (6 mi) route does not include any difficult climbs, making this tour suitable for all. We move at a comfortable pace and stop for photos and chats about the city's evolving culture, which our local guide explains with great detail. 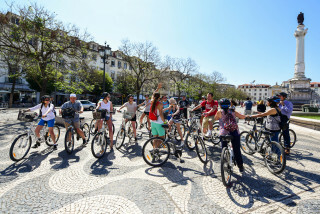 Our ride begins at the top of centrally-located Parque Eduardo VII, which houses the green oasis known as Estufa Fria. 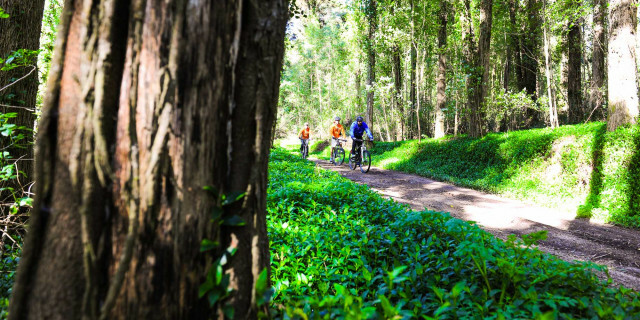 You can spend some time here before your bike ride, strolling along waterfalls, ponds, and incredibly diverse flora from all over the world. 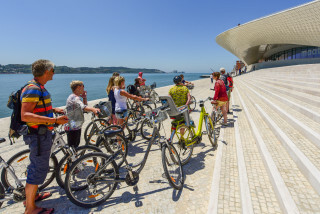 From the park, we make our way through downtown Lisbon, cruising along architectural wonders, colorful cafes, bustling street markets, and the stunning waterfront where the Tagus River meets the Atlantic Ocean. The city's trademark seven hills are a panoramic backdrop throughout our journey. We make two short stops during our trip. 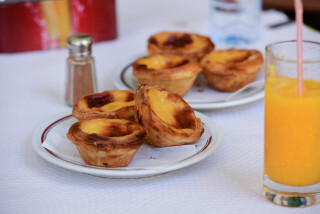 The first is downtown, where we enjoy a traditional Portuguese drink. 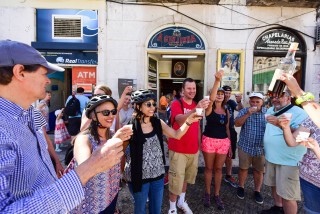 Our second stop is about halfway through our ride, when we visit one of Lisbon's oldest cafes and taste Pastel de Nata, a delicious traditional Portuguese dessert. 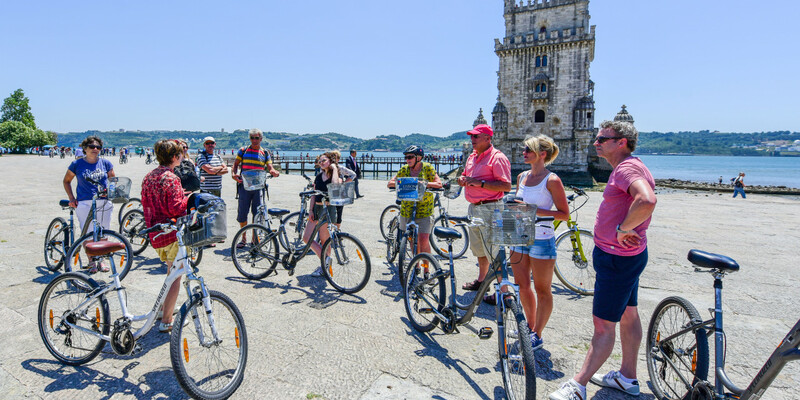 Our tour ends in the historical district of Belem, just west of central Lisbon. You return the bikes and your guide provides some last tips and suggestions about what to see, do, and taste. 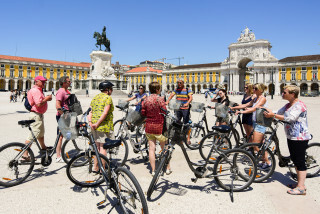 Finally, he explains how to return to central Lisbon (it's very easy), and then you're free to explore on your own. 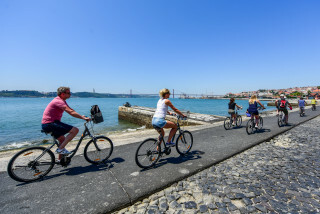 Walk along the Tejo Estuary Natural Reserve and explore the many UNESCO World Heritage sites, monuments, and museums in the area. Or just relax and look around the colors of the lovely city you've just gotten to know.